UPDATE April 2019: Riverfront apartments are now priced from $1,925,000 and townhomes start from $1,550,000. 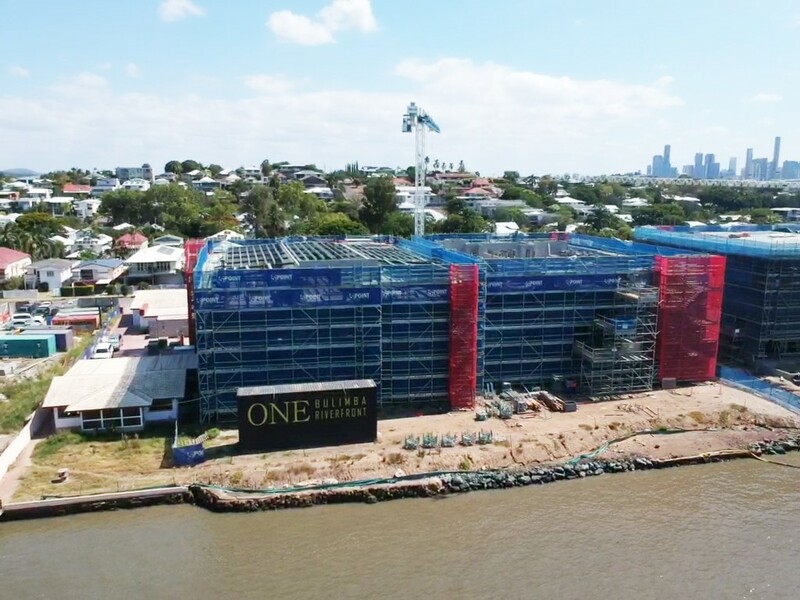 ONE Bulimba Riverfront joins five other developments on Byron Street, Bulimba, replacing the former navy barracks. 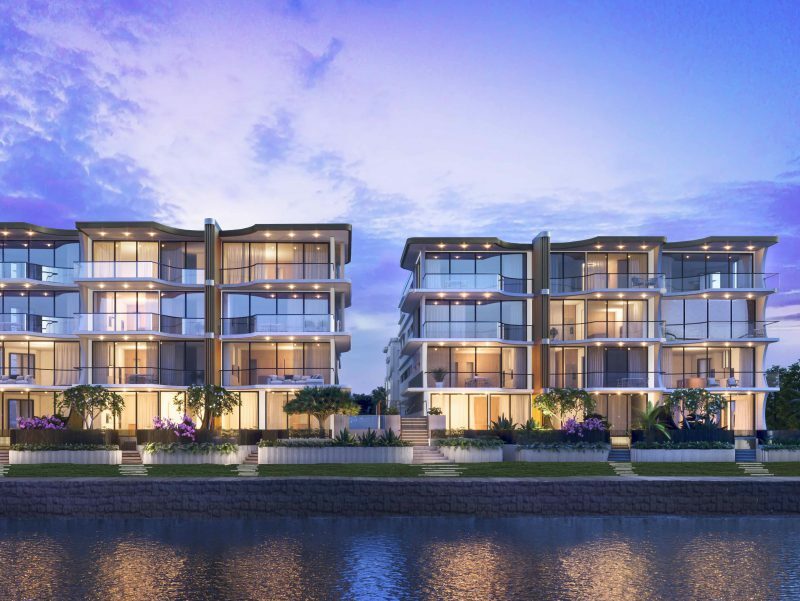 ONE Bulimba Riverfront stands out due to its commitment to green energy and the size of the apartments and townhouses. The development is a collection of 24 three bedroom, north-facing apartments, and six townhouses. Direct river frontage and river access. The possibility of a private marina. Six three-bedroom penthouse apartments from $5,250,000. 18 three-bedroom apartments from $1,675,000. Six street-facing townhouses from $1,350,000. Lots of storage and outdoor space ideal for downsizers and families. As construction is well underway, there is no longer a display suite on site. 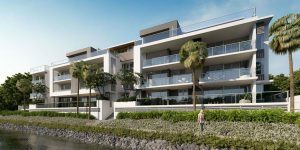 ONE Bulimba Riverfront is a collection of six north-facing penthouses and 18 north-facing riverfront apartments. The apartments and penthouses all have three bedrooms, and a large majority also have a media/multi-purpose room. 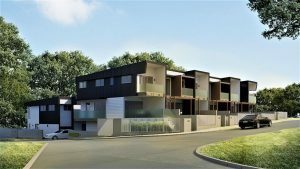 The project also will feature six townhomes on Byron St, sized from 343sqm to 400sqm, each having pedestrian access to the street. 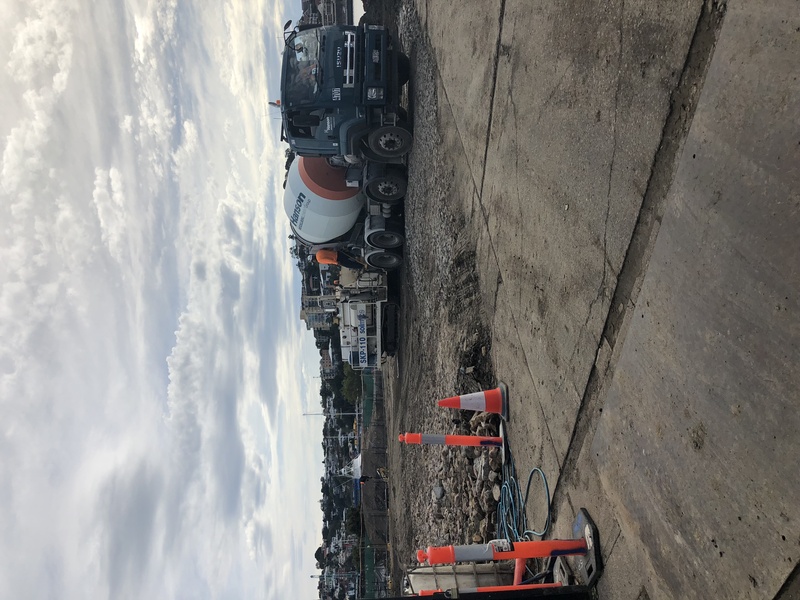 All of the apartments and townhouses have been designed for the downsizers market, as is the case for most other developments along Byron Street. The apartments range from 201-393 sqm. The ground floor apartments have been designed with terraces and yards facing out to the Brisbane River. 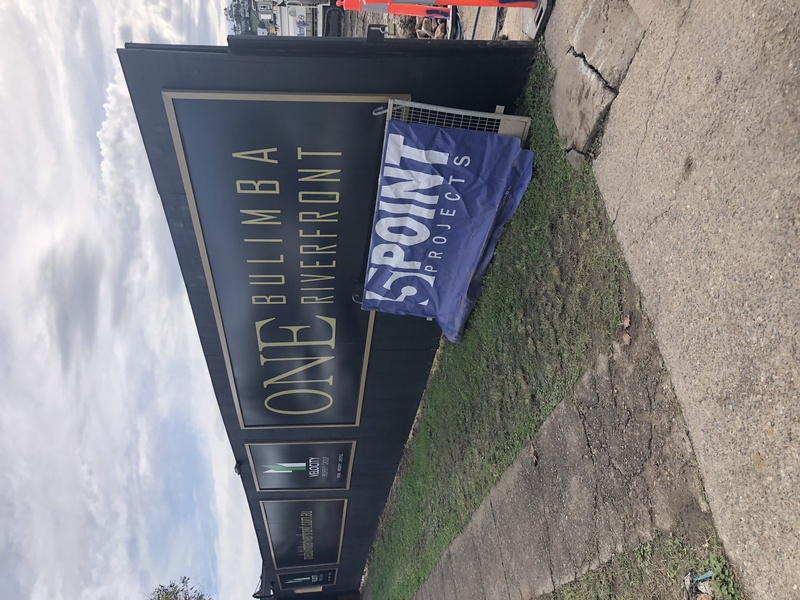 From the ONE Bulimba gardens, there will be a public walkway, giving residents access to the riverfront from this point for the first time (it was formerly a boatyard). Residents will have access to amenities including a lap pool that looks over the river. Developers are still awaiting approval for an eight-berth marina outside the apartments. If approved, the berths will be sold privately to apartment or townhouse buyers. Residents also get two car parks, and there will be visitors parking available. Another feature of these apartments is that they have strong green credentials. Energy-saving functionality is used throughout the development including solar panels, inverters, and Tesla powerwalls in the penthouses. For those not in the know, the Tesla powerwalls are a battery that significantly reduces electricity consumption when used with solar panels. If you’re interested in understanding how much money they save, read this article here. Townhomes will include solar panels and inverters. The common areas will also be solar powered, which will help to drive body corporate costs down. The townhomes have three levels, and an internal lift. At this size, they are bigger than many houses in the surrounding areas, making them ideal for families or downsizers who still have children at home. Similar to the apartments, they have three (3) bedrooms. They also include a separate bedroom/office on the ground floor. This room has private access from the street, so it would be ideal as a guest area. The townhomes each have two private car parks. 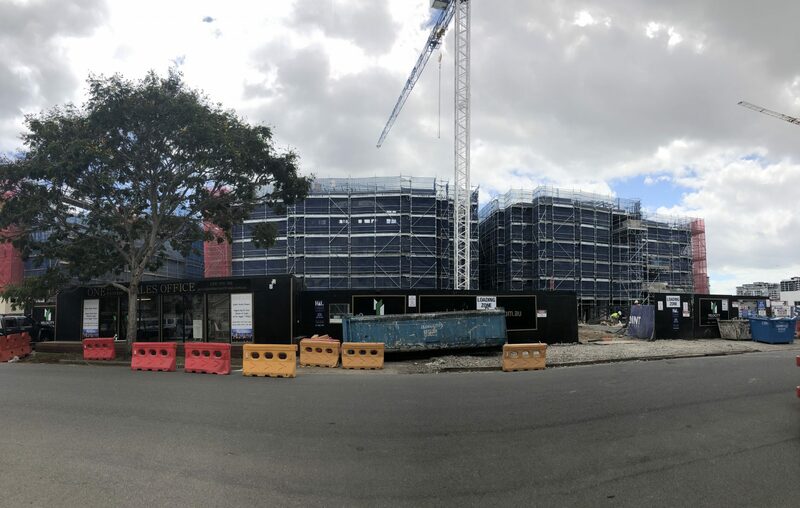 One Bulimba is almost 50% sold, construction is well underway and expected to be completed before the end of 2019. Located at 39 Byron Street, Bulimba, ONE Bulimba Riverfront is just outside Bulimba’s busiest area. 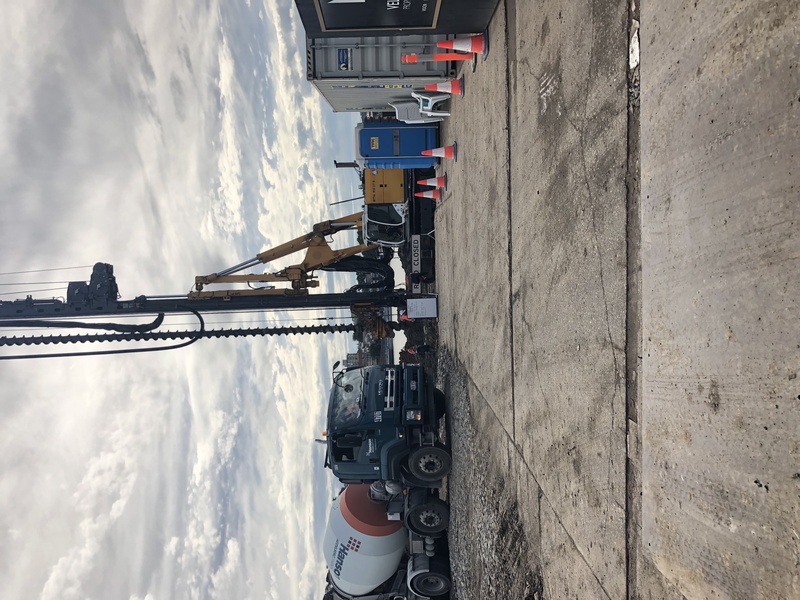 This is great for residents, as it ensures that even with the extra influx of people that the multiple developments along the street will bring, the area will still remain pretty quiet. Accessing the nearby hub of Oxford Street is easy enough, but you probably wouldn’t walk there unless you were feeling up for a long morning stroll. Oxford Street is the heart of activity in the area. It has a cinema, a nice mixture of high-end and more casual restaurants, and boutique stores. It also has a few doctors and dentists long it. Oxford Street is a nice place to catch up with people or to just relax, as while it is busy, it is still a very picturesque place. There are a number of public transport options for residents at ONE Bulimba. The CityCat is at the bottom of the street, less than two minutes walk away. This makes accessing the city really easy, and it’s probably more direct than catching the bus. However, if you would prefer to catch the bus, you can use the bus stop at the bottom of the street. There are a number of highly reputable and well-respected schools located near ONE Bulimba. Bulimba State School is only four minutes drive away and is a well-liked public primary school. In the other direction, you have Ascot State School, a 25-minute drive away, and Hamilton State School, a 20-minute drive away. Both of these co-educational primary schools are less than 5 minutes away if you took the ferry, which comes every 20 minutes. As for high schools, St. Margaret’s Anglican Girls School, Balmoral State High School, St. Rita’s College and Clayfield College are all close by. The most amount of time you’d have to spend driving to any of these schools would be 25 minutes, which isn’t too bad. Balmoral State High School is the only co-educational high school close to One Bulimba (the rest are all-girl high schools). It’s worth noting that the Navy Headquarters for South-East Queensland at just down the end of the road from ONE Bulimba. However, a resident that we spoke to told us that no one ever really hears any noise from it. We, therefore, don’t expect it to be too much of an issue for ONE Bulimba residents. ONE Bulimba Riverfront asked us not to display the floor plans on our website at this time. However, we can comment on the ones we have seen. All the floor plans show apartments and townhouses with open, integrated spaces, optimised for lighting. This is especially nice in the apartments, as it will allow cross-breezes from the river to flow through. Every apartment has a gas line going to the balconies, which is ideal as you can’t bring gas cans up through elevators anymore. There are central atriums at the back of the apartments (which you can view on the scaled model in the display suite). Given that the apartments have been designed with downsizers in mind, there are elements in their design which have been implemented to appeal to this market (although they will also appeal to other age groups as well). This includes things such as a larger than normal kitchen, 7-8 metre balconies, and a lot more storage than normal. The middle apartment on each floor is the best value as these have just one balcony/outdoor area at the front; whereas the outer two apartments have smaller balconies on the side aspects as well. 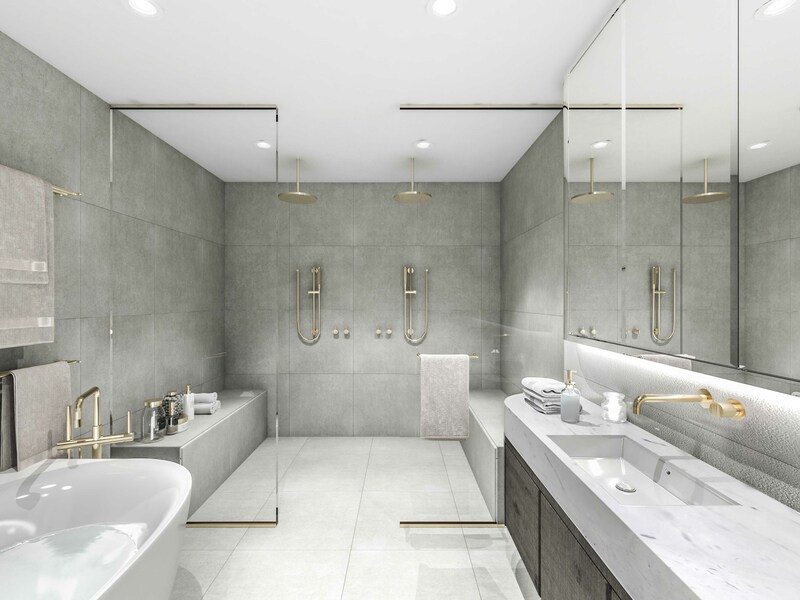 As you can see in the photos below, ONE Bulimba has a high quality of finishes in both the townhomes and the apartments, although there are some differences between the penthouse apartments, the normal apartments, and the townhomes. All the finishes are high quality and were definitely chosen with downsizers in mind. The penthouse apartments all have timber flooring as a standard inclusion for the main areas (living area, hallways and kitchen). Buyers will choose between Light or Dark colour schemes for the timber flooring, and this choice will also dictate what the cabinetry, kitchens, media room and bathrooms look like. Penthouse buyers can also choose to upgrade the media room flooring option with timber flooring. The kitchen appliances in the penthouses are all Wolf, which is a high-quality European brand. In the master bedroom, there is the choice between two different colours for the block out roller blinds (which match the light and dark colour schemes). It’s well worth mentioning that the penthouse apartments have solar panels and Tesla solar batteries to ensure the development has a smaller impact on the environment. KNX technology is used for remote security and appliance control. 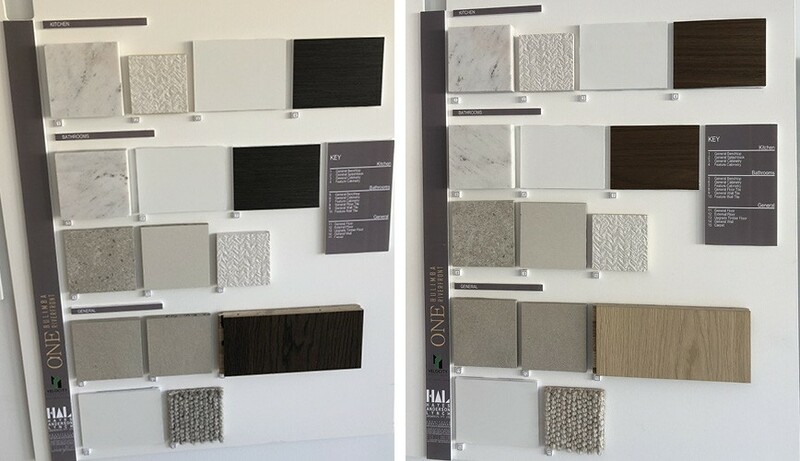 The rest of the apartments have tiled main areas but buyers can choose to upgrade to the timber flooring option. Other parts of the apartments that can be upgraded include the kitchen, where a MultiTap and Insinkerator can be included in the Butler’s Pantry, and a combination steam oven and a warming drawer can be added. All kitchen appliances in the apartments are Neff, a well-known and reputable brand. You can also choose to upgrade the blinds in the master bedroom. All the apartments and penthouses have the option of adding pet doors, car charging stations, wine fridges, a barbecue, an additional pull-out bin, motorised blinds, ceiling fans, and additional power outlets. Adding dimming options to the LED downlights in the bathrooms is also available. All apartments and penthouses come with a dryer as a standard feature, and a washing machine can be added as an upgrade. The townhomes have similar finishes to the apartments. Tiles are standard in the general living areas, but they can be upgraded to timber in either Light or Dark. Townhomes do not have the option of adding timber flooring to the media room, instead, they will have only carpet matching the light or dark colour scheme they have chosen for their townhome. Window roller blinds can be added as an upgrade. The kitchen has all ILVE appliances. The master bedroom walk-in-robe will have the option of upgrading to block out window roller blinds that match the Light or Dark colour scheme chosen. As in the apartment, dimming can be added to the downlights in the bathrooms for an additional cost, and a washing machine can also be included as an upgrade. 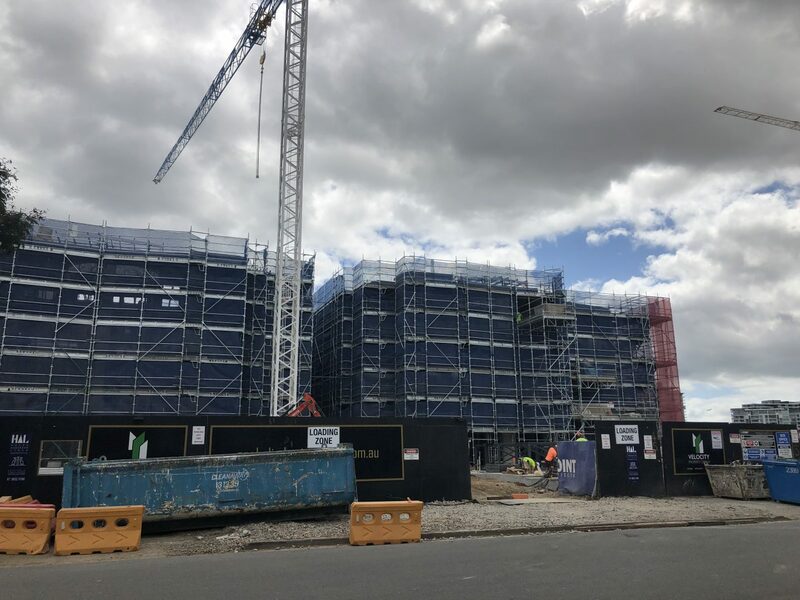 There won’t be an onsite manager at ONE Bulimba, however, Velocity Group – who are located nearby – do have a concierge service. This service will help organise moving so that it is easier for residents, and will manage the body corporate to make it easier and less of a hassle. This is a nice touch in regards to the target market, we believe because it will make the whole idea of downsizing even easier. 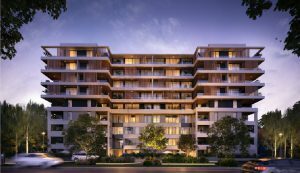 Because ONE Bulimba is being marketed toward owner-occupiers, we don’t believe that there will be renters in this development. 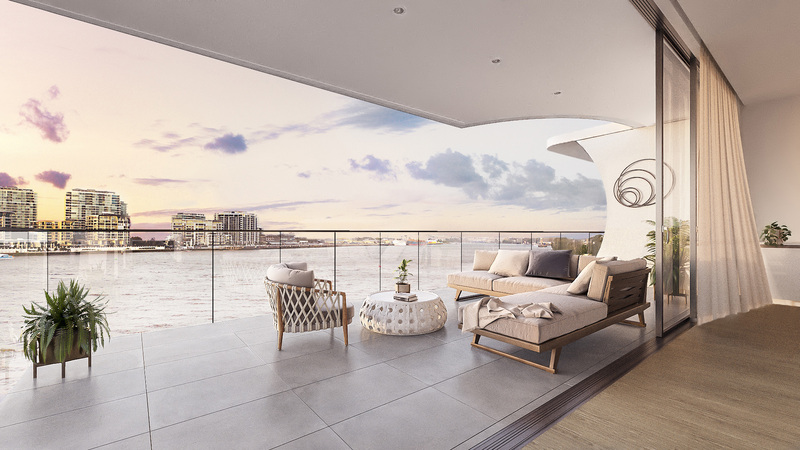 ONE Bulimba is not a direct competitor to the nearby projects of The Boatyard and Barca. This is because the pricing options for the apartments lend themselves to different sorts of buyers, despite all of them being targeting toward downsizers. Enquire below to receive Body Corporate fee information for the available residences. 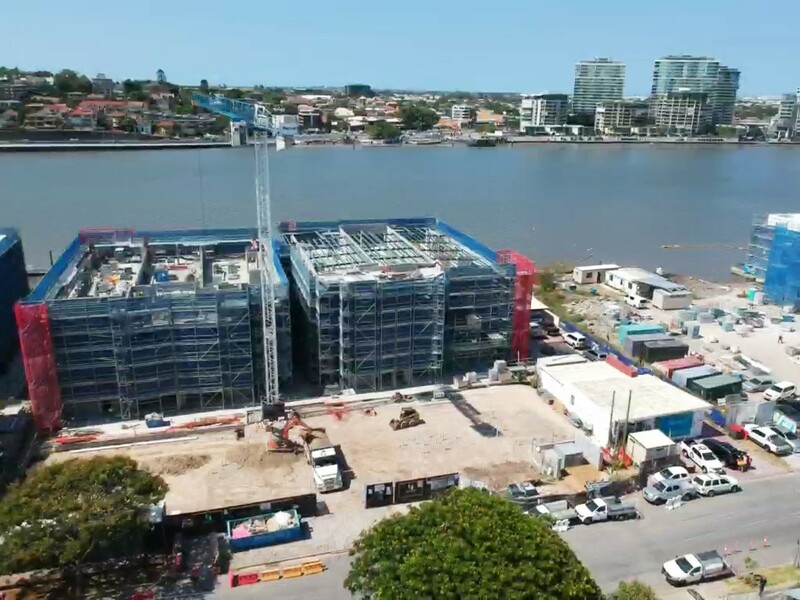 ONE Bulimba Riverfront is being developed by Velocity Property Group. 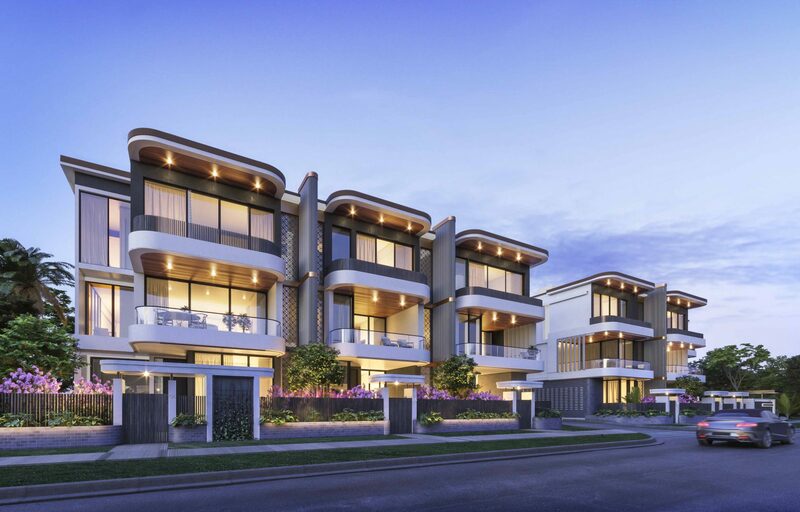 VPG is an ASX-listed developer who designs high-quality usable spaces in the suburbs of South East Queensland. ONE Bulimba is the third in VPG’s ‘ONE’ elite series brand. All of these projects are located in highly desirable locations and feature both spacious designs and energy-saving technology.